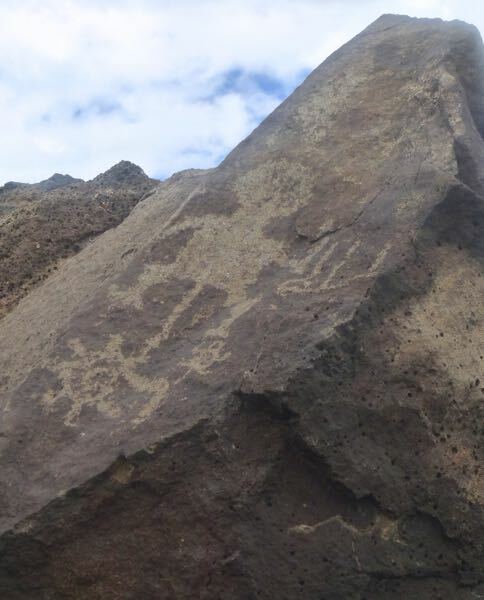 While in town to have Tardis serviced, a side-trip to see Petroglyph National Monument was taken. 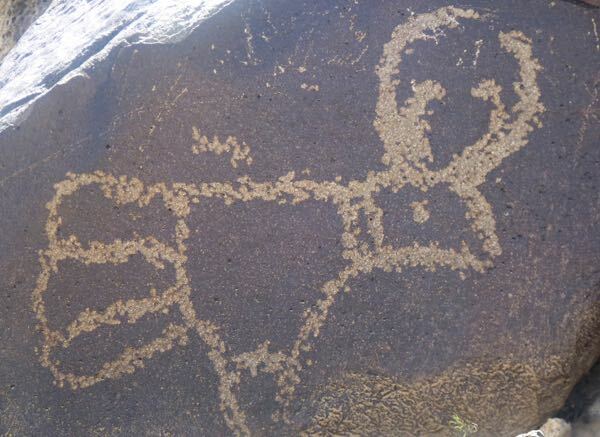 I’ve always enjoyed seeing native rock art and was eager to explore the trails. The Visitor Center video explained the geology, and how they believe the drawings came to be. The first stop was the more popular location, with a hike along the Cliff Base and Macaw trails. And then, the Mesa Point trail which goes up to atop a ridge. Photographing the artwork was difficult due to low contrast and getting close enough. Several miles north was another trail situated behind homes in a neighborhood. A sandy path lead along an escarpment with rock drawings here and there. Although the info claimed over 20,000 images were preserved in the area, I found only a few. 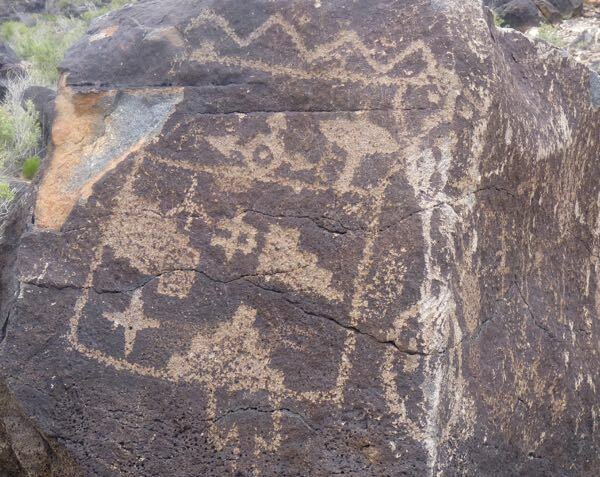 Two sections I didn’t visit, one called Rinconada Canyon, where I was told not many drawings could be seen. And another, where you could view the remnants of two volcanoes. The monument was a bit disappointing, as I saw few petroglyphs. 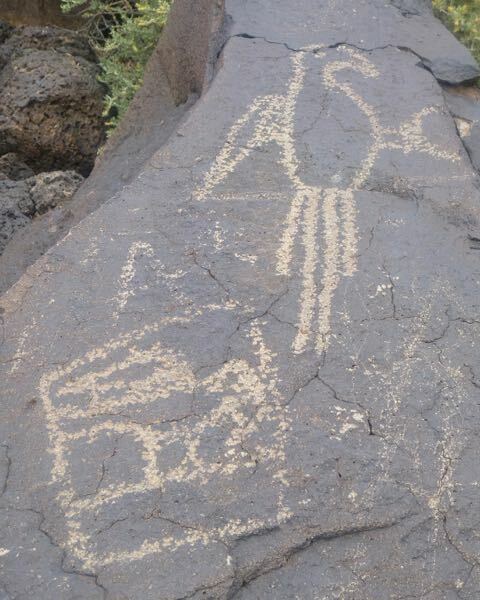 My visit to 3 Rivers Petroglyphs Site had a lot more drawings in a much higher concentration on a shorter trail. Still, it was an interesting couple of hours hiking. I love finding these petroglyph sites. Who, how and when they were done is fascinating to me. Always makes me wonder if thats what I would have been painting, if I were alive then. Since I’ve been stuck home recuperating after surgery, I’m really enjoying seeing these images. Thanks for blogging! 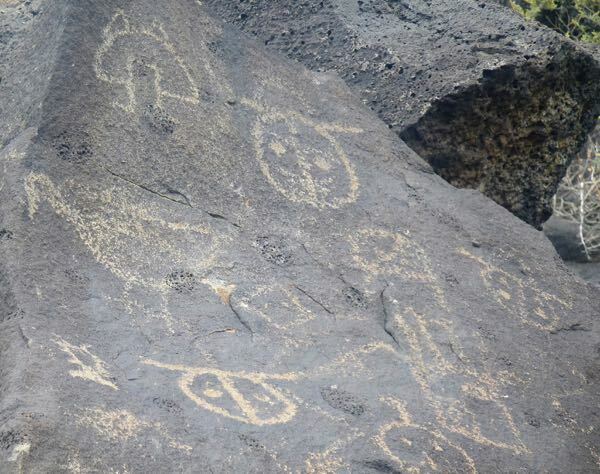 According to the park, the natives left the drawings for different reasons. Some are like calling cards, others directions or info about the area. Get well soon! I wonder the same thing, who painted them (or scratched them into the rock, and if they did it for the enjoyment and art, or if some might be left as messages. Thanks for the photos. Well, they do take effort and time to create. So, I suspect most serve a purpose. But, it is evident that they tried to make descriptive and informative images.